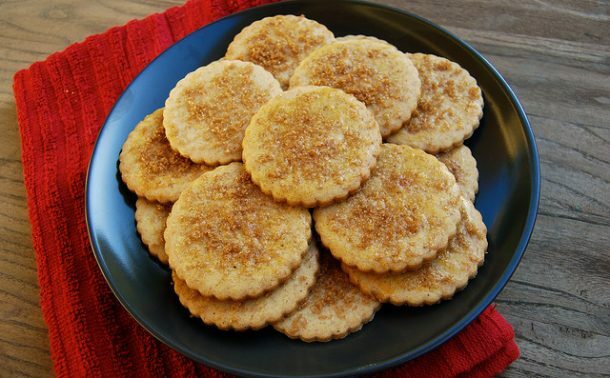 Now, for the first recipe from my Christmas Kitchen this year, I want to share a family recipe with you that is not really mine. 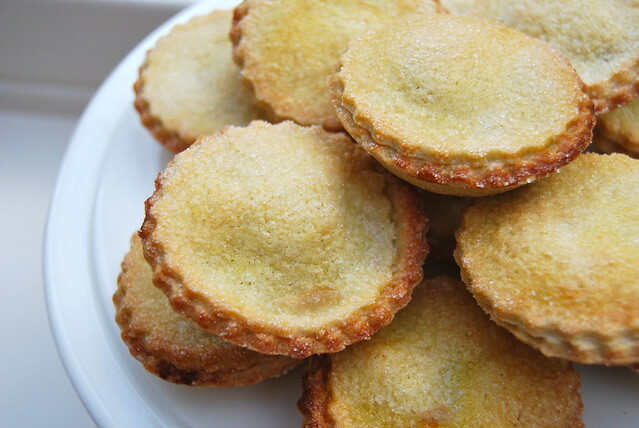 Last year I had lots of requests for a Mince Pie recipe, but I have a secret to share. While I will still munch on one or two, I’m not really the worlds biggest Mince Pie fan. I can take them or leave them, and I actually feel the same about Christmas Pudding too. 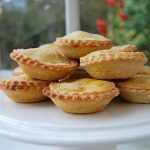 So, when I was down at the farm a few weekends ago I asked my Mother if she’d make a batch of her special Mince Pies early so I could blog the recipe. 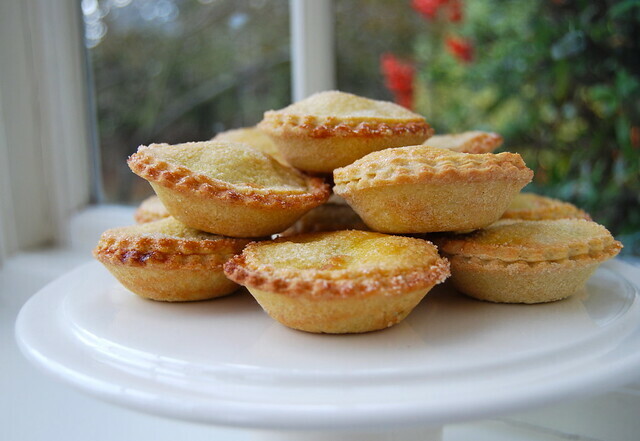 The earliest mince pies were boat shaped, with flattened lids, to represent cradles. In the Reformation they were forbidden, as they were thought popish since they represented the cradle of the Christ Child and the spices of the filling the gifts of the three kings. Early versions of mincemeat usually contained either tongue or lean beef. Mrs Beeton, writing almost exactly 100 years later than the author of the Reading MS., gives one recipe using lean beef and another without, the second being almost identical (to our traditional mincemeat)…, which comes from Yorkshire. There is one big difference in these Mince Pies that I think make them special; instead of the traditional shortcrust pastry she uses a sweet sugar pastry, but rolled really thin so it is more of a sweet pastry crust holding the mincemeat in, rather than the pastry being a feature of the pie itself. While usually everything in our house is homemade, one year my Mother did try to make her own mincemeat, but my Father did not like it as he was so used to the childhood taste of Robertson’s Mincemeat, so that is what we use. 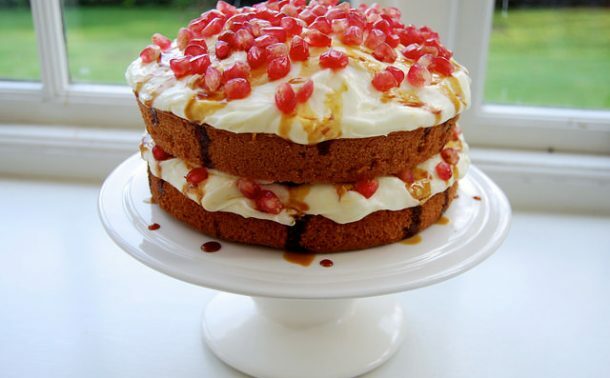 If you do want to make your own, however, I do usually trust the recipes I find on the BBC Good Food website. My mother’s famous mince pie recipe, made with a nice sweet, crisp crust filled with traditional mince meat. Preheat your oven to 190 degrees celsius, 180 degrees if you have a fan oven. Add the margarine and the salt to the flour and rub in with your finger tips until it is all mixed in. Your mixture should be sand like in texture. Rubbing in is essentially rubbing the fat and the flour together between cold fingertips, lifting your hands up out of the bowl every few seconds to keep the mixture airy. Beat one of the eggs then add to the mixture. With a palette knife cut through the mixture, turning the bowl slightly with each cut until a dough forms. Once it feels heavy when you cut through it bring the dough together into a ball with your hands, but try not to work or play with the dough too much. Grease a 12 hole (this recipe makes 12+ pies, so you might need two tins) tin (you need this type/ shape) with margarine. Split your dough into half (one half will bake the lids, the other half will make the bases) and roll one of them out on a well floured surface until just under half a centimetre thick. I know this recipe involves lots of baking equipment, so if you don’t own a rolling pin and you don’t want to buy one, a great tip I got from Rachel Green is to use an old empty wine bottle instead. Cut out your bases with a round, crinkle edges biscuit cutter that is big enough that you can lay the base into a whole of the tin with only a slight lip around the edge. The lids should be a size smaller and fit on top. Once you’ve made enough lids and set them aside to the amount of holes you filled with bases, scrunch up and roll out the dough again and try and make extra lids and bases to try and minimise on waste. 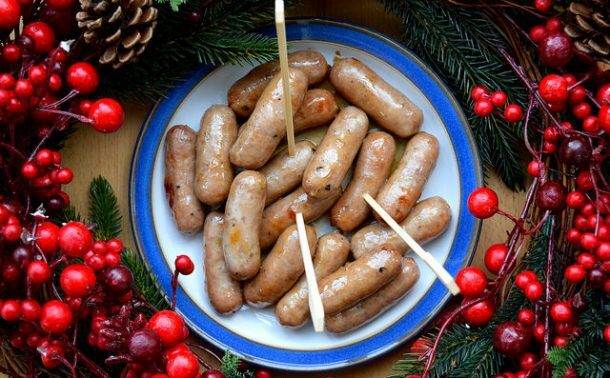 Fill each hole with a heaped teaspoon full of mincemeat. 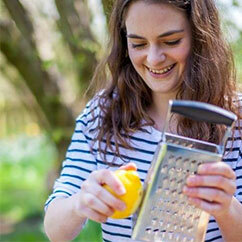 To secure the lids, wet a pastry brush and run it around the edge of the base, then press the lid gently to the top. The water on the edge should act like a light glue between the sweet pastry. Beat the second egg and brush it over the top of the mince pies, then sprinkle with more golden caster sugar to create a golden, glossy top when baked. Bake for about 10-12 minutes, or until the pastry is golden. Remove from the tins and allow to cool on a wire rack. These are lovely warm, but you should wait at least 10 minutes before serving, because the sugar pastry needs to harden slightly while it cools. Apologies to my American readers that I have not put American measurements on this recipe, but if you want to try traditional British Mince Pies this year, you can try making your own Mincemeat (Emma has a recipe without suet as it is something you don’t really have in America, and her recipes are usually fantastic), and I did see Robertson’s Mincemeat in the British food section of Ralph’s in Los Angeles last Christmas, so I know you can get your hands on it and make it with a basic sweet pastry crust if you want to, using butter in the crust instead of the margarine. To be honest I would not think most of the margarine’s I came across in America due to food processing were fit for human consumption. Use real butter all the way; I just use Stork here as I respect the brand and thanks to the influence of Mary Berry, I use it in a lot of my sponges.